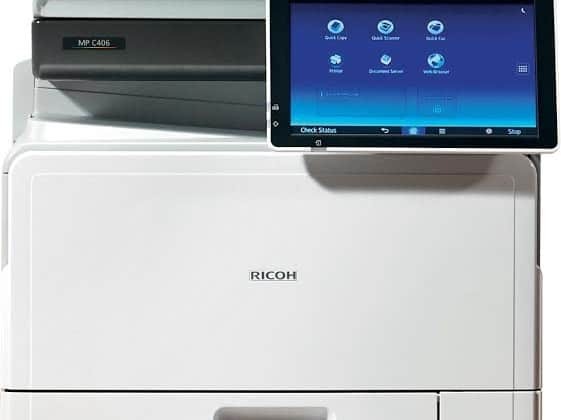 Ricoh has announced the launch of two new models of colour multi function printers (MFPs) – MP C307SP and MP C407SP. These models leverage advanced Workstyle Innovation Technology tooffer businesses the opportunity to improve efficiency and raise productivity whilst effectively managing printing and energy costs. Designed for fast-paced businesses with non-stop print and document management requirements, these efficient devices are packed with easy-to-use smart features that boost user performance. The small footprint of the machine enables it to be installed for any type of work group, even with a compact working space. To maximize office productivity, the MFPs are equipped with Single Pass Document Feeder (SPDF) that allows two-sided scanning at a speed of up to 80 images per minute (ipm). The Smart Operation Panel is powered by a high-speed 1.46 GHz Intel processor, and offers smoothoperation packed with a variety of advancedsoftware solutions that suits different officerequirements. The devices support various operating platformsthat allow printing and sharing your documentssecurely on-the-go with your mobile devices. Myriads of solutions such as AirPrint, Mopria, and Ricoh Smart applications meet yourdifferent document management and printingneeds.Thehigh-yield toner reducesthe operating cost by minimising your TCOeven for high print volume needs. Additionally,the devices come with one of the lowest TypicalEnergy Consumption (TEC) in its class andconsume less power in ECO friendly sleep modewhich can further optimise your daily cost-savings. Available Pan-India, Ricoh MP C307SP and MP C407SP are priced at MRP of 212,200 and 265,452 respectively. Ricoh launches two new A4 colour multifunction printers 0 out of 5 based on 0 ratings. 0 user reviews.